Vegetable Soup. 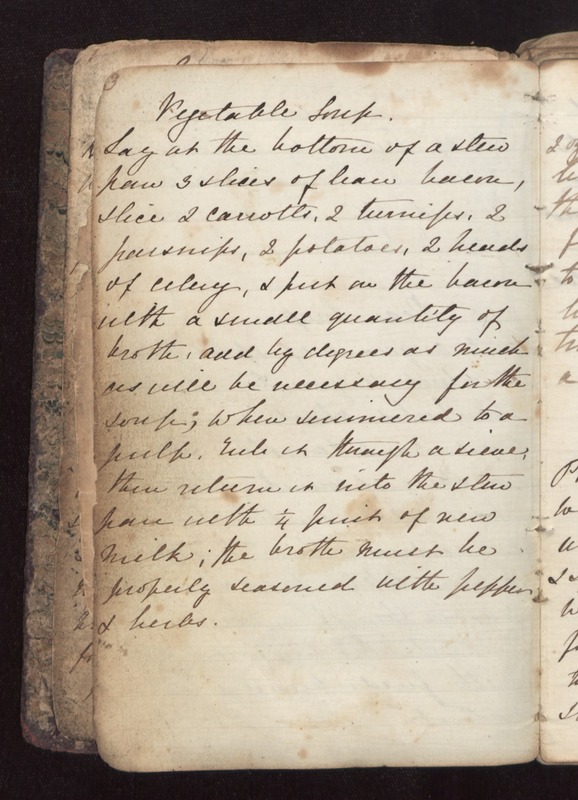 Lay at the bottom of a stew pan 3 slices of lean bacon, slice 2 carrotts, 2 turnips, 2 parsnips, 2 potatoes, 2 heads of celery, & put on the bacon with a small quantity of broth, add by degrees as much as will be necessary for the soup; When simmered to a pulp, [Put?] it through a sieve, then return it into the stew pan with 1/4 pint of new milk; the broth must be properly seasoned with pepper & herbs.